The third colorway of Luke Chueh’s killer Bruised Lee vinyl figure is now available exclusively at the VTSS online store! Check out the Panda Edition Bruised Lee, which gives Chueh’s Bruised Lee a Panda style head. This awesome figure is based on a painting of the same name that Luke created for a Bruce Lee group art show. 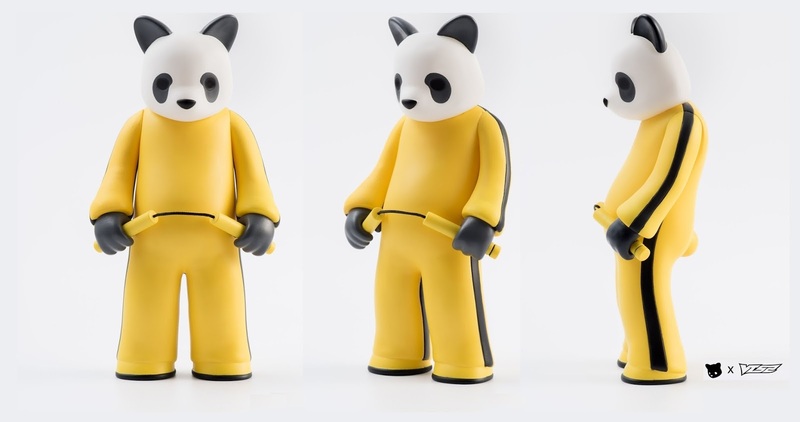 It’s a killer mash-up of Chueh’s sad depressed bear with Bruce Lee's classic yellow jumpsuit from movie The Game of Death. 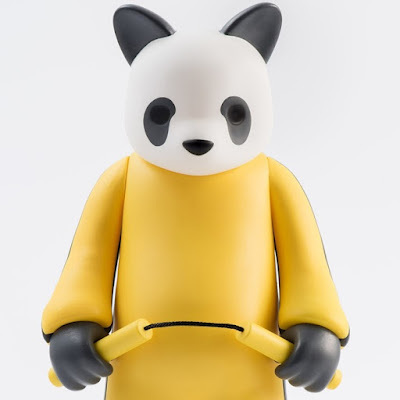 The Bruised Lee Panda Edition vinyl figure by Luke Chueh stands 6.3” tall, features 3 points of articulation (head and arms) and includes a pair of nunhcuck. This colorway is limited to 500 pieces and can be purchased now at the VTSS online store for $100 (with free worldwide shipping).